Few people seem to take me seriously. I guess it doesn’t help that a lot of the time, I don’t take myself seriously. I rarely answer the question, “So what do you do?” In fact, I avoid it at all costs. Because people give you rather smug smiles when you say you’re writing a book. “Oh, you’re writing a book?” they say with their eyes glazing over in high-pitched, condescending voices. The one time I responded by saying I had a publisher for said book, I watched the other person’s eyes pop with interest. Suddenly, I was interesting. But I was no longer interested in talking to her. Don’t even get me started on what happens if you tell people you write a blog. “Oh, you write a ‘little’ blog?” A LITTLE BLOG? Sometimes, I want to guilt them and say, “Actually, I’m too disabled to work full-time. I’m in pain 24-7. And when it rains, I want to crawl in a hole and die.” But I said something like this once to someone and they almost cried. I don’t, generally, like to make people cry. That’s why when I tell people, my blog has led to many writing opportunities and even public speaking and then of course, (people who don’t know me) ask me what I talk about on speaking engagements, I say “myself.” When I say this, I get a look that says “Okay, narcissist” but should I really tell someone I’ve just met my whole life story? Maybe, I should tell them to go read my little blog and find out. Lately, people patronize me most by treating me like a little kid who doesn’t know anything because I don’t have kids (or thankfully, a gray hair on my head). I wonder, sometimes, if I should regal these people with stories about co-parenting my younger sisters: changing diapers, then potty training them, staying up for countless sleepless nights when they cried because my mother locked them out of her room, making meals every day since I was 10, eventually kidnapping them and then fighting for custody of one sister for three long years while I worked two to three jobs to support her until I crippled myself and converted to Orthodox Judaism in the same year. Don’t let the wrinkle-free skin fool you, I want to say, I have lived. Please, please, think of me the next time you want to treat some poor unsuspecting person like an infant who just got out of diapers and has led a very sheltered life. I warrant that since you haven’t walked a day in their shoes, you have no idea what kinds of shocking stories lie behind a youthful, otherwise calm-looking, veneer. Well, at least, the JTA (Jewish Telegraph Agency) takes me seriously. This past week, they named me #9 out of 100 Most Influential Twitterers. Thank you, thank you! But, of course, most people don’t take Twitter seriously so this makes no one (except other Twitterers) take me more seriously. 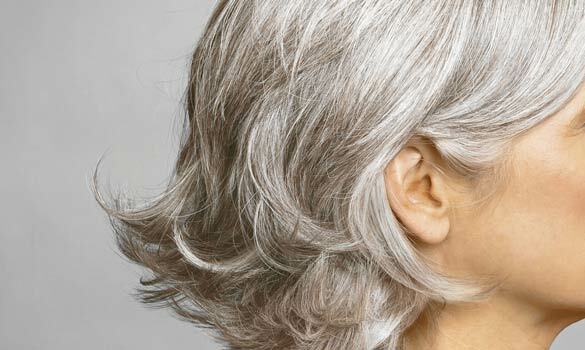 Maybe it’s time to grow some gray hair? Aliza, you are one to be admired. As some of my best friends down south say, “Do you.” It can be so hard to not worry about what other people think and say, especially when they are patronizing or doubting you as an individual. I will not begin to try and compare your story to mine. Though my own trials have left me similar situations: I left home in Texas at 17 to go off to college on the east coast. The series of difficult life events I encountered without the support of my family sometimes made me want to just go away where I could never be found. Converting to Judaism as the only black person has also led to some unfortunate challenges and negative experiences with my fellow congregants. But, the experiences helped develop a previously undiscovered resilience and strength. In the work force I am, at times,spoken to like I am 12 with no idea how to multiply 2X2, though I will be getting my Masters degree at age 24 next Thursday after working full time and sitting in classrooms for the past (almost) three years. All of this is to say that people want you to fit into THEIR mold of what is ideal, correct, morally upright, righteous, etc. (esp. when you’re a minority). But you have to decide all of these for yourself in a world that would rather you step in line with the rest of them. What I have learned is, to stop worrying about others’ judgments and opinions of you is to experience a lifetime of freedom in the best way imaginable. This might be easier said than done, but perhaps worth a try. There are only a few people who know I’m writing a book for the same reason. OK, I don’t have a publisher, but still. I usually leave most of my paid writing gigs out of conversation. As for living, yes, I get it. I never liked it when people said I was “so young” when in my however-many-years I’d gone through much more than they. Honestly, Aliza, people hid from hardship so it’s easier for them to stick their fingers in their ears and pretend they don’t hear your story than to listen and realize that some people go through much to get where they are. In a way it’s that they live in a bubble, but it’s also that some people don’t like realizing they haven’t gone through the ringer like some – makes them feel less somehow and uncomfortable not with you, but with themselves. Thanks, Sarah T. Sounds like you’re staying pretty positive and triumphing against adversity for the most part. Amy, I totally am in awe of anyone who is writing a book. I didn’t realize how hard it is to write one! I never thought coming to the conclusion that we think you’d be an awesome parent is patronizing. If anyone should be rooting for you it should be the commenters, no?